An elegant accessory for the person who likes uniqueness is this sterling silver and 14Kt yellow gold belt buckle. 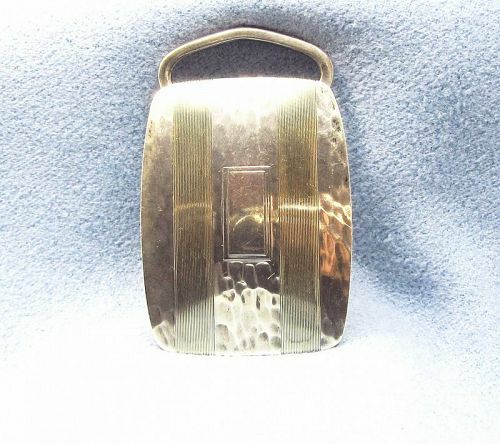 The buckle is hammered sterling silver with two strips of 14Kt yellow gold. In the center there is a rectangular box for possible engraving of initials. The measurements are 1 ¾” wide (without the loop) 1 ¼” high and the buckle will accommodate a 1” wide belt.